It was a leaf floating face-down in the river. The mottled red on its back, curled leaf tips and long straight stem reminded Annaliese of her grandmother’s hand as she spun wool and wove thread into rugs. 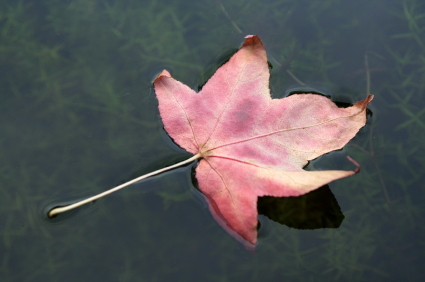 The leaf floated along in the water, a hand on its way to a task.